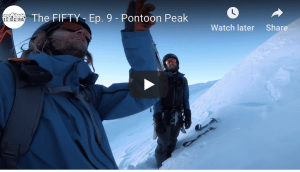 Well, the first winner of the Mountainwatch clip of the week is in, a great video of Thomas Pinzone and co shredding around on a great day in the Guthega backcountry. Here is what Tom said about the day. 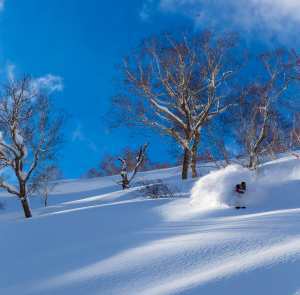 “Recent snowfalls, and very cold weather made for nice dry snow last week. My ski buddy Rohan and I planned to head out from Guthega towards Mt Tate to take advantage of the decidedly un-Australian conditions. Powder Harvest from Pini on Vimeo. 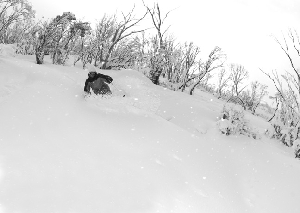 Got footage of yourself or a mate shredding some backcountry powder? Maybe you were rolling tape when a rider was getting gnarly on a rail or boosting that massive air off a jump? Or maybe you had your POV cam mounted when you ate sh#t! Whatever the worthy action you’ve captured, send it in to Mountainwatch and you could win a pair of Dragon ViceRoy sunnies. Don’t worry if you don’t know the first thing about filmmaking – footage from your phone is fine, it’s the action we want to see. 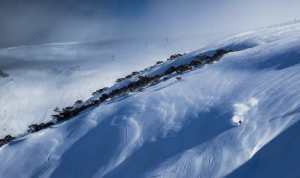 Entries will be posted on Mountainwatch as they come in, and the weekly winner judged by Mountainwatch staff and featured each week. Mountainwatch reserves the right to use all entries in any context to promote the competition. How do you send in the clip to win? Easy. Just load your clip to Vimeo and send the link to alexh@mountainwatch.com. Don’t forget to include your name, riders name(if applicable), location, your email, and your phone number so we can get in touch.